I just realized that it’s been a long while since I’ve done a beauty review on my blog! And I knew I definitely owed it to you all! 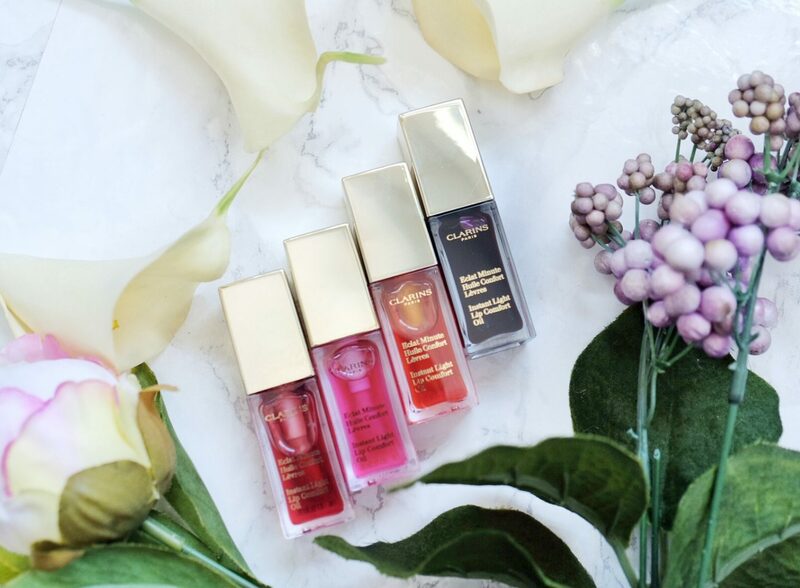 So today, I’m back with a review for Clarins’ two lip products – the Water Lip Stain and the Lip Comfort Oil. They’re having a debate over these two products right now for #TeamSassy which is the Water Lip Stain and #TeamSweet which is the Lip Comfort Oil. So today, I’ll tell you my take on the two products and also show some swatches! Here are the two products! On the left we our Lip Comfort Oil and on the right we have our Water Lip Stain. The opened display are in Red Berry (Lip Oil) and Red Water (Water Stain) respectively. Here is the line up of the colors I have. 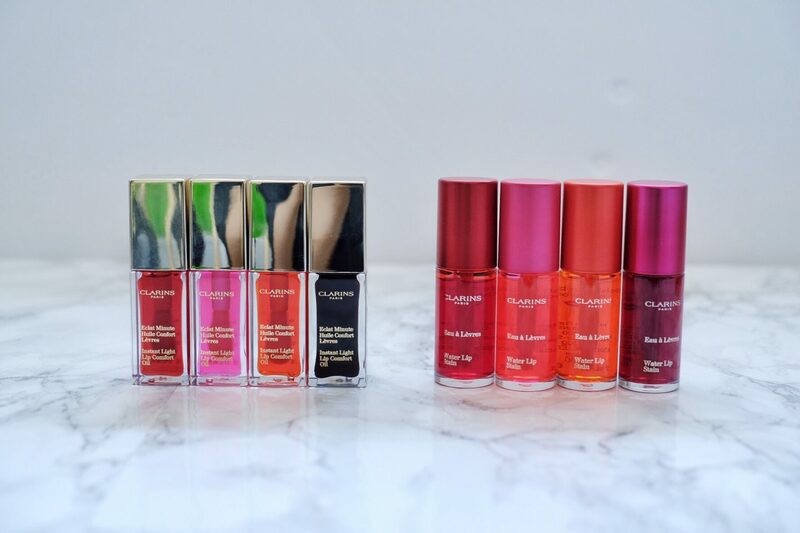 On the left, we have the Lip Comfort Oils and on the right, the Water Lip Stains. First, let’s talk about the Lip Comfort Oil. They call it an “Instant Light Lip Comfort Oil”. 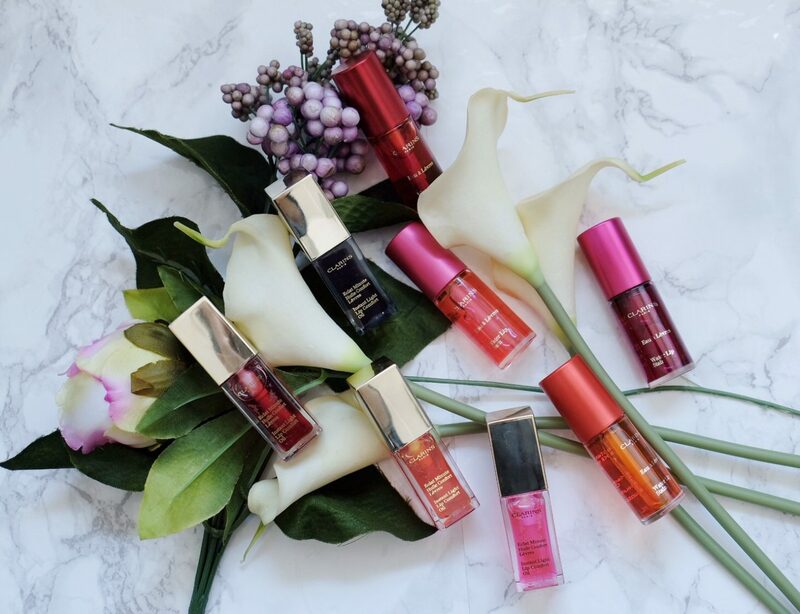 This lip oil combines all the high shine benefits of a gloss with the soothing comfort of an oil. 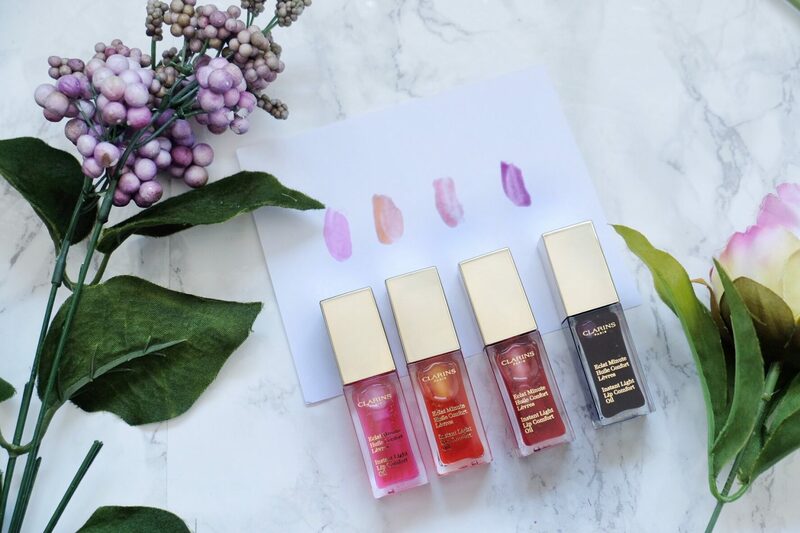 Each shade contains a blend of botanical oils to instantly sooth and nourish your lips day after day. The highly sensorial and lightweight texture never feels sticky. Lips look enhanced and plumped. However, I found it to be more heavy than light. I did like how moisturizing it was. But, it goes on more thick than it is light. I don’t really feel the oil aspect of this lip product. To me, it feels more like a heavier and more moisturizing lip gloss. It goes on very glossy and makes the lips look plump and adds dimension. The color applies sheer for the most part. These are the swatches I swatched on paper for the respective colors. I could not do a skin swatch because the color didn’t really pick up. As you can see on paper, there is some color to it. 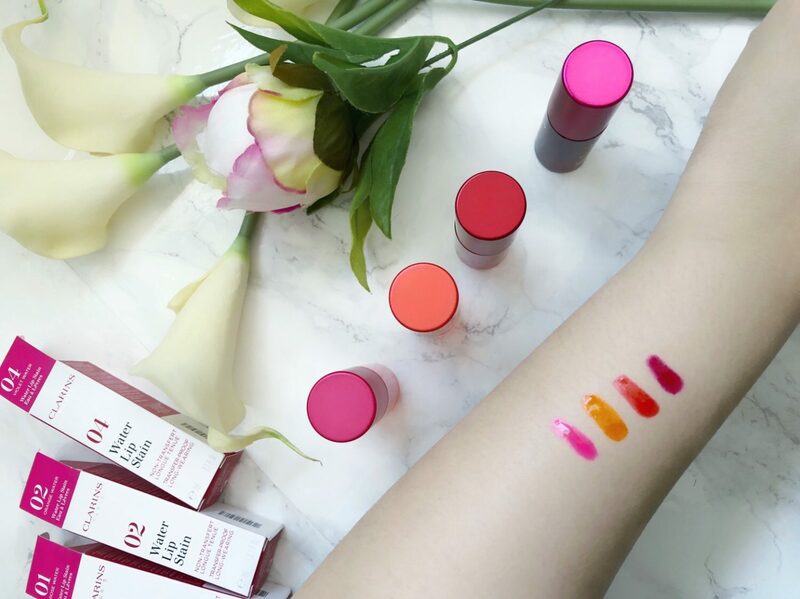 An interesting fact is, some colors like Candy, Tangerine, and Red Berry is a unique formula that reacts to your lip’s pH to give you a natural customized shade. So I guess it’s meant to look “your lips but better and plus it’s shiny!”. However, it’s still meant to be sheer. So if you want a product with more color, this one wouldn’t be for you. On the other hand, if you wanted something that was more natural looking with a hint of color and you like something like lip gloss, this would be a good pick. And these are Clarins Water Lip Stain. They’re in nicely round bottles and are nicely pigmented. Due to that, this is a completely different product than the Lip Comfort Oil. If you want actual color on your lips, then this would be the product I recommend. I like that the product is buildable. And because of that, it is also a perfect product for gradient lips. So the claim of adaptable colour result is true. The matte finish and bare lips feel is also true. That’s part of a big reason why I like lip stains – color transfer is the closest to zero. However, since it is a water lip stain, the supple and soft lips claim is just mediocre. It’s not really meant to be moisturizing, but at the same time, this product does not dry out your lips. I don’t know about the “resists up to 300 kisses” (well they did put a * next to that product description), but the staying power of this product is also really great. I swatched it on my arm and even after an oil based make up remover, plus water, I can still see a little color on my arm. Though I’ve tried eating with this and the color does come off and you will need to reapply after a meal. Personally, I like the outcome of using both products together. I usually find myself putting on the Water Lip Stain as a base for color, then adding the Lip Comfort Oil for moisture and shine. Does that make me #TeamSassySweet? Haha! However, if I had to pick one to put in my purse, I’d pick the Water Lip Stain for it’s long wear and good pigmentation of color. To me, it’s just more versatile. So I guess, ultimately I’d be on #TeamSassy. How about you? After reading a review of the products, which team would you find yourself on? #TeamSassy (Water Lip Stain) or #TeamSweet (Lip Comfort Oil)? Do write back and let me know! PS: Tune into my Instagram Stories, THIS WEEKEND for a demo of these lip products! Follow my instagram for more cool product reveals, demos, and of course outfit and travel inspiration! This post is not sponsored. Products are sponsored by Clarins for testing. All opinions are unbiased and my own. Oohhh! I like lip stains so would be keen to try. Unfortunately Australia only has the comfort oil range at the moment 🙁 hopefully it comes here soon so I can try the water lip stain range! Lip stains are pretty awesome! The Lip Stain range is new I think. It’s not available at Sephora in US either. Only ULTA online. 🙁 Hopefully they have some soon. If not, I’ll send you some to try! How fun is this? Thanks for helping me understand the difference between the lip stain and the oil. I love how you creatively combine both to get a unique look in itself. Fabulous! Oohhh. I love lip stains but I don’t know this brand. Must check it out. Such pretty colors. I have never tried a lip stain but now I want to try one. These look like lovely colors. I admit, I’ve never tried lip stains before. I might have to try one out and see if I like it. What some really nice stains, those colours are so gorgeous. I have to admit I’ve not tried any from Clarins I think I’ll have to try that. It’s too bad that the lip comfort oils are so heavy! I’ve been looking for something that heals/hydrates lips better than chapstick. 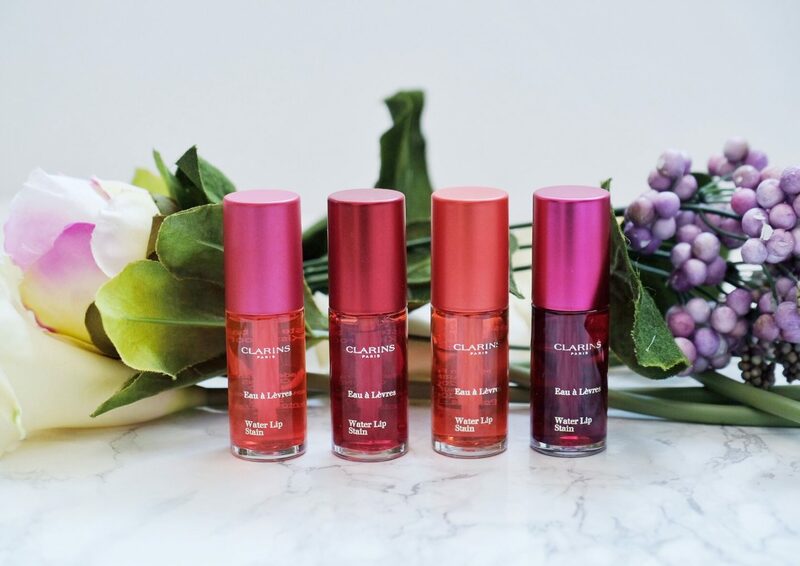 i love lip stains and i love clarins! i am going to have to look into this! Lip tint looks beautiful I like it! thanks for sharing this post! Can you do some swatches on this soon. I would love to see how pigmented these stains are. Hi! The swatches are in the photos on the blog post! Can you view them? 🙂 Let me know if you have any trouble! I also have demo videos on my IG stories! I saw this Clarins before and it did caught my attention. After reading this, I might consider buying this one! I never heard of this brand, so I will have to try it out! But I do love the shades! Hi! It looks great on Asian skin tone actually! I did an instagram story video on it! You can check it out in the beauty section of my IG videos on my profile! 🙂 Hopefully it’ll help you gauge the color on the skin tone! Thanks for dropping by! Thank you Ophelia, I have never heard of lip comforting oil. Want to try using one. I love Clarins! Such an amazing brand! These are so pretty! loving all the colours! I have never heard of this brand. I would probably try the oils first. I love how pigmented the lip stains are. It’s like I can play with all the colors, simply mix 2 or three of them. These lip stains are all so beautiful! I absolutely love that there are so many different color variations. They’re all gorgeous. 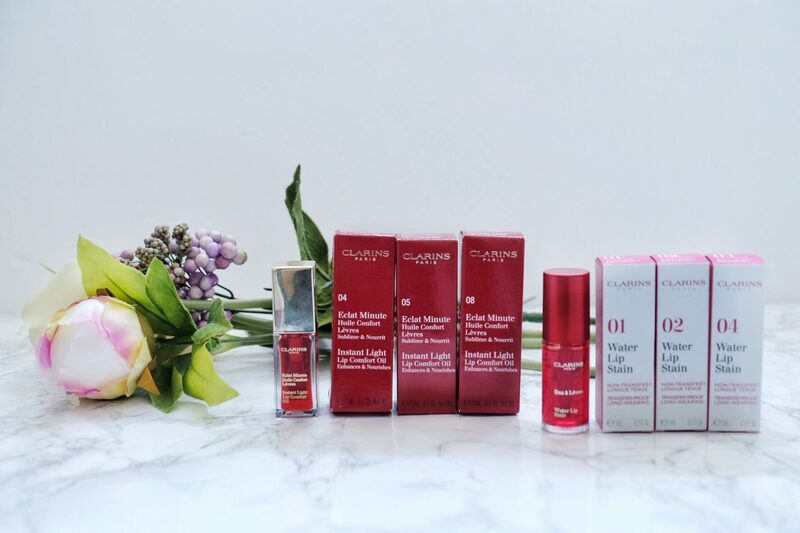 I love Clarins, it’s such a high quality product. I’d love to try these lip stain. Thanks for sharing!